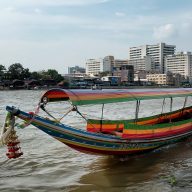 When I first got on a bus in Bangkok I had no idea whether I would get to my destination or not. I asked someone at a bus stop for directions and they just shoved me into one of the buses that had arrived. Fortunately, I was on holiday and the whole situation seemed like an adventure. 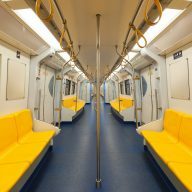 However, if you are thinking of moving to Bangkok, or would like to stay here longer, then buses might be the mode of transport you would need to use. It is much better to use MRT, BTS, ferry boats or taxis, but sometimes you might not have a choice. 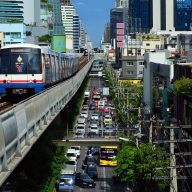 If you want to use buses in Bangkok, then below you will find the essential information on how the system works. Buses in Bangkok are probably not the best feature of transport in Thailand. If you can’t read Thai then you might have a great difficulty to recognise the bus you need to take. 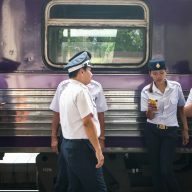 All vehicles are marked with Thai letters. The system is quite complicated and it’s hard to see which bus to take. You can use the BMTA map, which you will find at train and metro stations. This should help you to find the right route. Just remember that a pink bus number 7 is a completely different one from the orange bus number 7. If you want to stop a bus in Bangkok, then you need to wave at it to stop. The orange buses are the newest and the most expensive. The prices start from 10 Baht. The blue buses have air conditioning and cost 8 Baht. The pink micro-buses also have air conditioning. Sometimes there are no free spaces and the buses don’t stop at all. The vehicles with 4 numbers at the front take passengers to Skytrain stations. The red buses are the cheapest and the oldest. 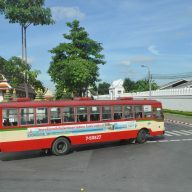 Sometimes the ride costs 3.5 Baht – 5 Baht. Sometimes you can ride it for free. The green buses are considered to be the worst. They are great polluters and their routes change very often. The drivers are also quite aggressive. 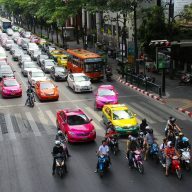 How to use buses in Bangkok? 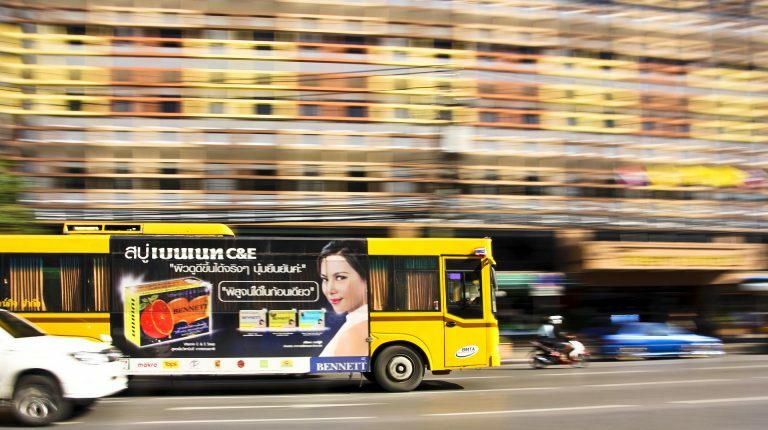 Almost all of the buses in Bangkok have a person that sells the tickets. After you get on, take your seat and wait for them to approach you. The price often depends on the length of the route, so you need to say where you’re going. It’s best to learn numbers in Thai and how to properly pronounce your destination. You can try to explain it in English, but you might not be understood. When you want to get off, press the red button, which you will find around the exit, or above your seat. Buses start running at 10 o’clock in the morning and finish at midnight. There are also night buses, who run whole night, but they don’t have air conditioning and they are overcrowded. Fortunately, the traffic after midnight is not that bad, so you won’t have to stand for long.